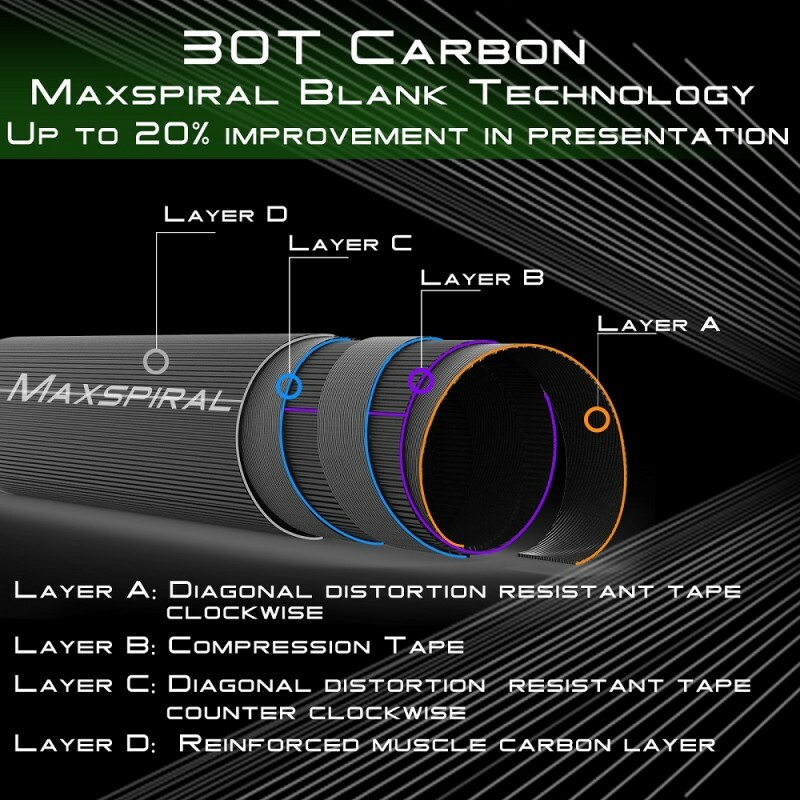 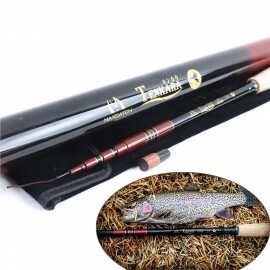 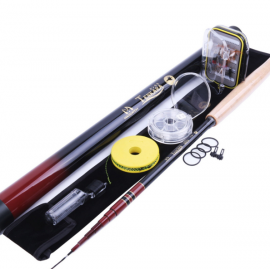 Triple Zoom(10'8", 11'10", 12'9"):this allows you to use the rod at three different lengths - 10’8”/ 11’10”/12’9” (330/360/390cm). 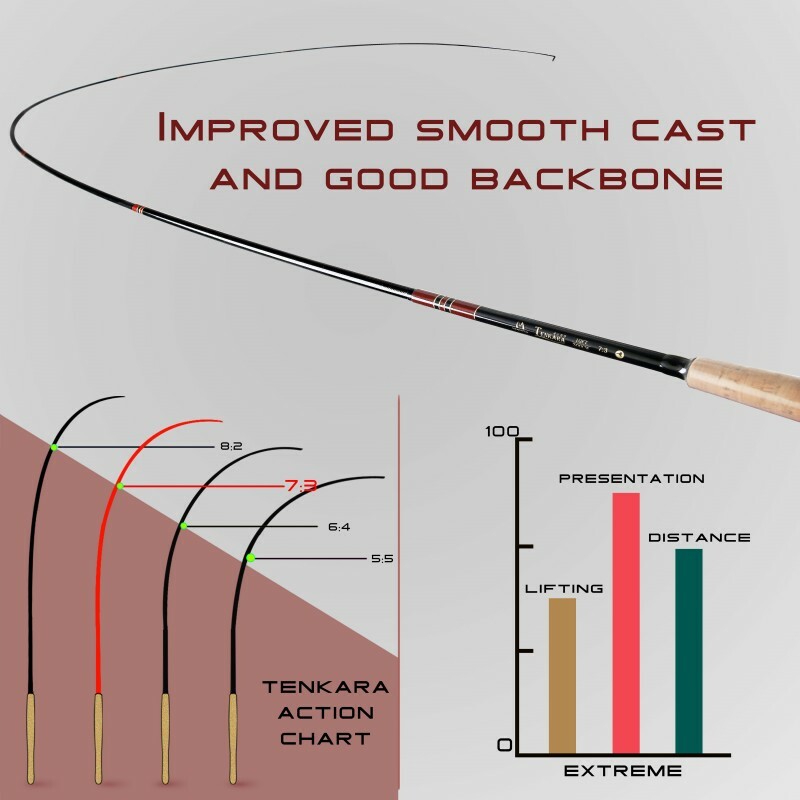 The average length for a tenkara rod is 12ft long, we like to recommend rods that are closer to 13ft, yet many people are intimidated by such long lengths for rods intended for smaller streams. 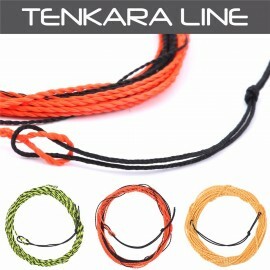 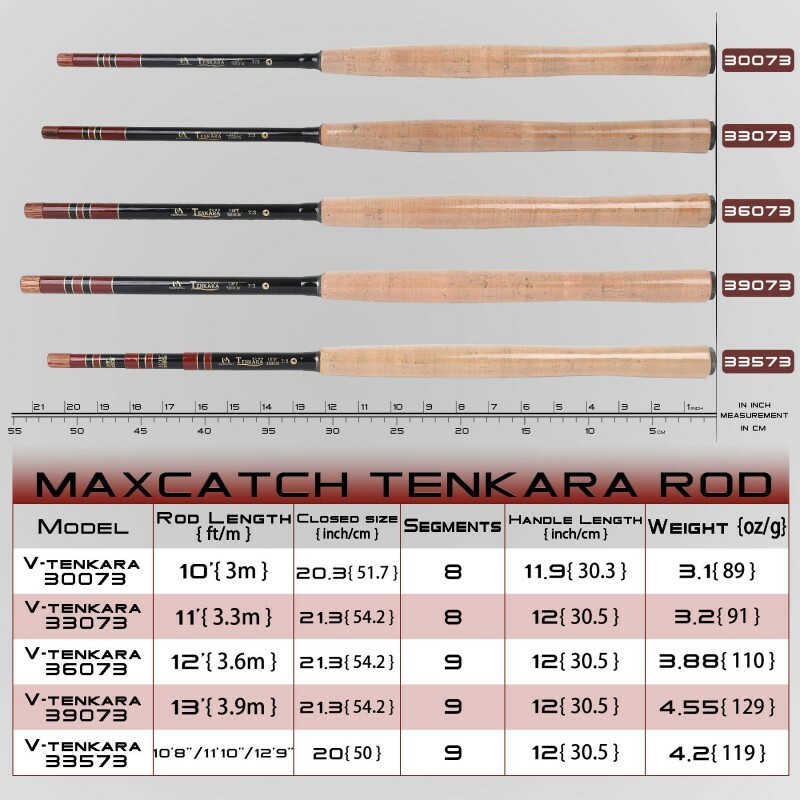 So, we felt a rod with the 3 most common lengths would be an easy choice: short to ease you into tenkara, long to give you a taste of the advantages presented by a long tenkara rod.